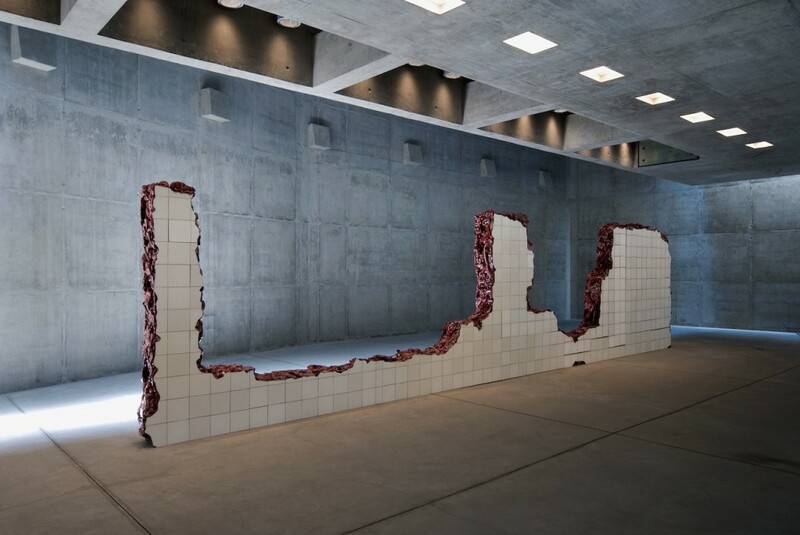 Although São Paulo’s international art market has been growing steadily for the past ten years, marked by the debut of the SP-Arte fair in 2005, news of a gigantic contemporary sculpture park emerged somewhat mysteriously. Sited in the southeastern state of Minas Gerais—which is as geographically remote as, say, Paris, Texas—in a tropical botanic garden designed by the master landscape artist Burle Marx (1909-1994), Inhotim (pronounced e-yo-cheem) opened in Brumadinho (broo-ma-gee-yo) in 2006. What? Where? We Brazilian art lovers asked ourselves since both names are unusual words in Portuguese and are, actually, informal oral developments. 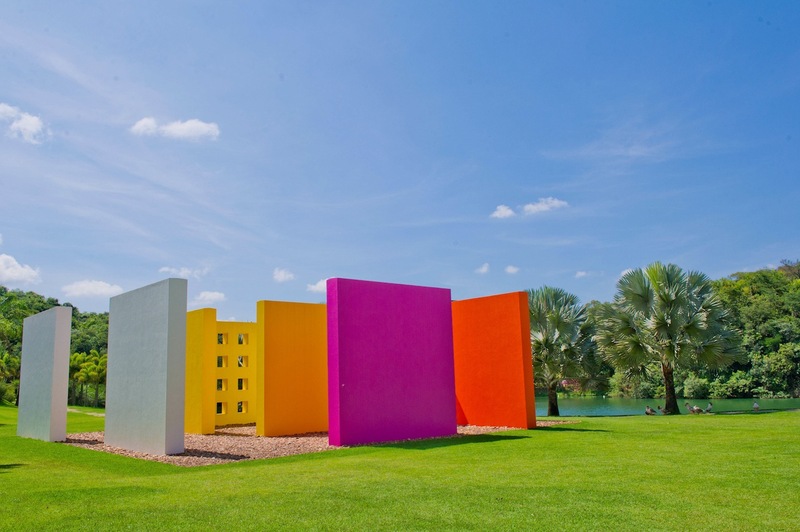 The owner of the theme park for art lovers, Bernardo Paz, sixty-five-years old, a charismatic mining magnate with hippie silver hair and glittery turquoise eyes, boasted to Newcity: “Nobody in the world shows art as Inhotim does. Not the MoMA, not the Tate, not the Pompidou.” His nonprofit private entity, the Inhotim Institute, is a five-thousand-acre empire of art sited in lush greenery, putting the otherwise sleepy ore-mining region—a two-hour drive from the state’s capital, Belo Horizonte—among the world’s must-see art attractions, which Paz also doubled into a global benchmark in environmental protection and sustainable development. Nine years after its official inception, the team of Inhotim curators, headed by Minas-born Rodrigo Moura, organized the institute’s first traveling exhibition, “From the Object to the World—The Inhotim Collection,” a cross-section of contemporary art that included fifty-five artworks from its famed collection of more than eight hundred, beginning with the trio of founders of Rio de Janeiro’s neoconcretist movement, Helio Oiticica, Lygia Clark and Lygia Pape. A laudable effort and bold project but, as Paz pointed out, nowhere near as extravagant as Inhotim itself and the experience of roaming around the collection of the avant-garde, experimental contemporary installation art in its one-of-a-kind cultural Eden that had curators Hans-Ulrich Obrist and Tanya Barson raving about this luxuriant cross of Tate Modern meets Kew Gardens. 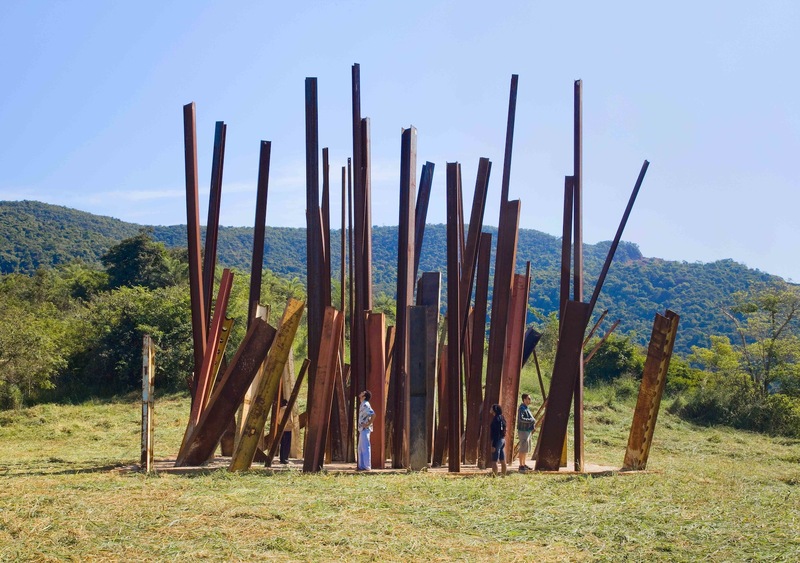 Inhotim’s visitors stroll among two-hundred permanently installed artworks on display catered by an operation of nine-hundred employees. Why so many? You probably know that, culturally, Latin American countries have larger work teams than the U.S., including the park’s army of gardeners and bilingual guides. There are several restaurants and stands of natural food with a coconut water drink and palm-heart pies. They are beautifully, tropically, designed; not just silly luxury—Paz abhors the invasion of dumb, shallow celeb trends in today’s culture… don’t we all? Inhotim practically employs the entire town of Brumadinho and its local students, who revere the privilege to grow in a world they would never, never, never expect to participate in their sadly abused, lower-class-poor Brazilian lives. Brumadinho is miserable and ugly, not even “poor charming” like foreigners like to think a favela is. The property, with rolling hills, five lakes and a native forest assembles four permanent galleries for group shows, each with poetically simple names: Lago (lake), Fonte (fountain), Praça (plaza) and Mata (forest). Distributed among a rich biodiversity of five-thousand species representing more than twenty-eight-percent of the known botanical families on the planet, are installations by Olafur Eliasson, Yayoi Kusama and Chris Burden, whose “Beam Drop,” from 2008, is a complex in-situ work on a hilltop, an artwork which involved seventy-two old, rusty rails dropped from one-hundred-and-fifty feet by giant cranes. Inhotim also holds eighteen solo-artist pavilions designed specifically for Matthew Barney, Janet Cardiff and George Miller, Carlos Garaicoa, Cristina Iglesias, Carroll Dunham, Victor Grippo and Doug Aitken, whose circular “Sonic Pavilion,” from 2009, contains a nearly seven-hundred-foot-deep well with microphones that capture the sound of the Earth’s womb. 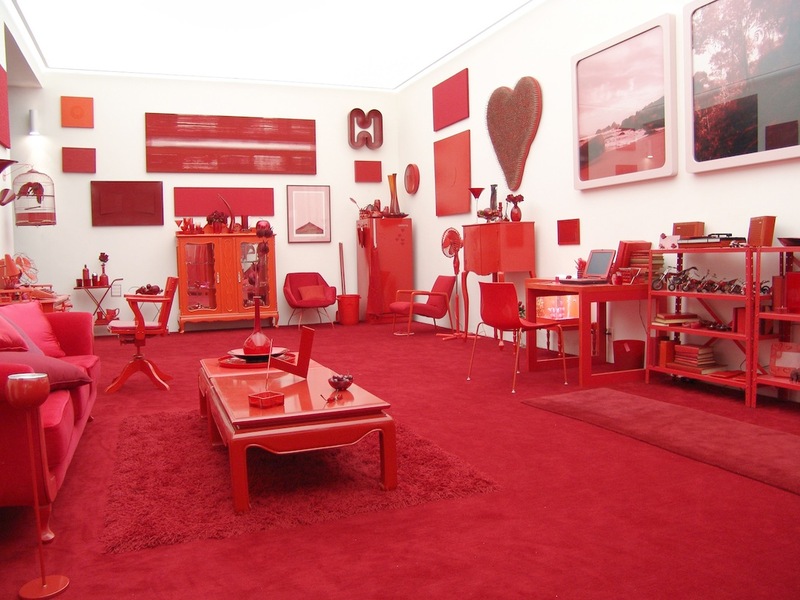 Among Brazilian artists with solo-pavilions are Lygia Pape, Cildo Meireles, Miguel Rio Branco, Helio Oiticica and Neville d’Almeida, Rivane Neuenschwander, Valeska Soares, Marila Dardot, as well as Adriana Varejao (one of Paz’s ex-wives), and the boss’s personal friend Tunga. In the 1990s, he was pivotal in influencing the ex-mining businessman to sell all of his by-the-book modern art collection and embrace contemporary art expressions. In return, Tunga was graced with two pavilions. One of which—a twenty-thousand-square-foot building in the midst of a tropical forest—is the largest ever built for a single artist in the world. Helio Oiticica and Neville D’Almeida’s pavilion, called “Cosmococa,” is an installation conceived in 1973 with a made-up name rooted in cosmos and cocaine, with hammocks, “quasi-cinemas” (rooms specifically designed to watch the homemade wild films by the creative duo) and an indoor pool with pristine white towels in case you, visitor, want to take a plunge from the tropical heat. Plans for the next several years include the opening of hotels (from a luxury establishment to a youth hostel), a private airport, better road access and new pavilions—beginning in the second half of 2015 with Swiss-born Brazilian photographer Claudia Andujar who, since the early 1970s, has developed an extensive visual anthropological record of the life of the Yanomami Indians in the Amazon Basin of Northern Brazil. Also in line for future solo-pavilions are Nuno Ramos, a famed Brazilian conceptual sculptor, and Anish Kapoor. “It’s work, work, work. 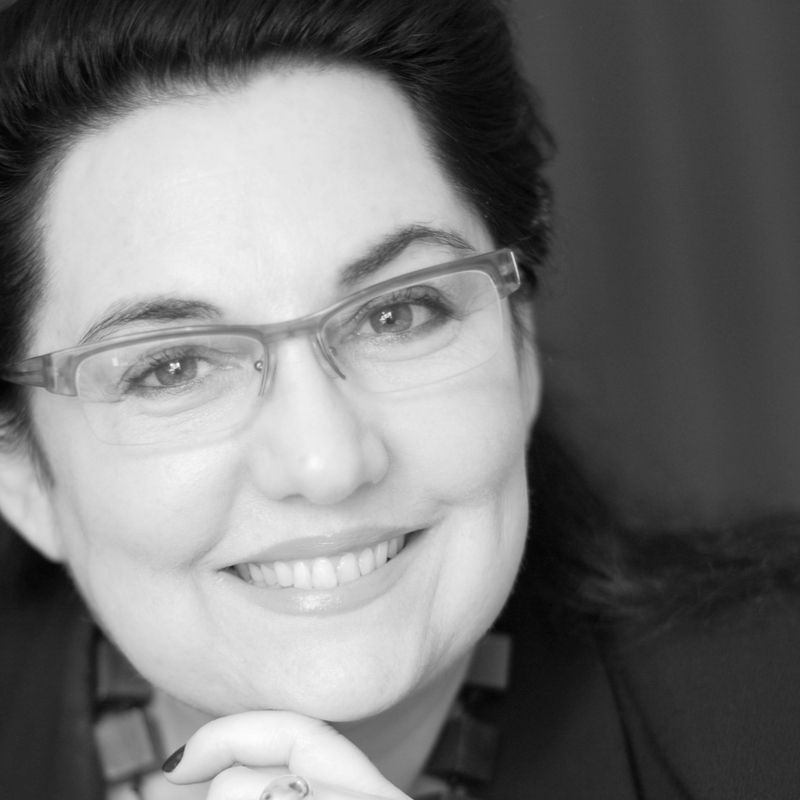 For society, for contemporary art, for culture,” the Brazilian art mogul Paz announced. “At Inhotim, we’re creating a lifestyle connected to our sensibilities and emotions. Our aim is to translate this effort in benefit of the transformation of the people. Inhotim is a donation for humanity.” Paz is keeping up his promise. 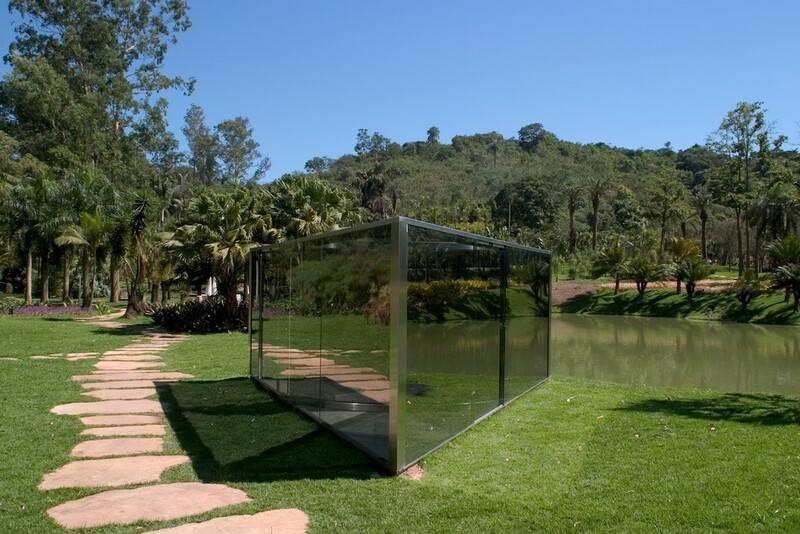 It may sound like a cliché, but Inhotim is a paradise for contemporary art. To see it properly it takes two days walking around the stunning park with a powerful suntan lotion, light clothes and comfortable sandals. But you can do it in a day, provided you rent a caddie, which comes with a bilingual driver-guide, a student from Paz’s enthusiastic, adoring legion. “From the Object to the World—The Inhotim Collection” shows through March 8 at the Palacio das Artes and Centro de Arte Contemporanea e Fotografia, Belo Horizonte; and in April at the Itau Cultural, São Paulo.